Somehow we managed to gather a group of 7 to head down to New York together for the ride. The ride was enjoyable and I loved the views and the experience overall, minus the congestion issues due to the sheer number of cyclists. Even though I’ve been to NYC numerous times, I was able to see the city from a different angle, and rode through neighbourhoods I wouldn’t have visited otherwise. I’ve documented some details of the ride just in case anyone is interested in doing it in the future. Let me know if you’re planning to do the ride or your experience with the ride in the comments below! We were prepared to register right when registration opened (at noon) sometime in early January, however by fluke I refreshed the page 30 mins before and the registration page was actually open. All 7 of us quickly signed up as we heard that registration fills up very quickly. Apparently registration reached capacity within a few days! 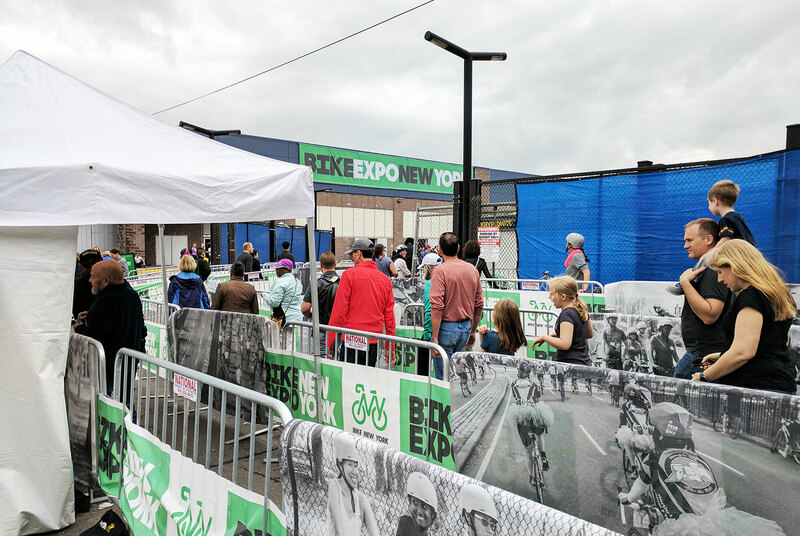 We picked up our rider packets the day before the ride at Bike Expo New York. The venue was quite large with many vendors, and packet pickup was quick and painless. We arrived in the afternoon and there were no line ups to enter, even though it seemed that they were set up to accommodate long lines. 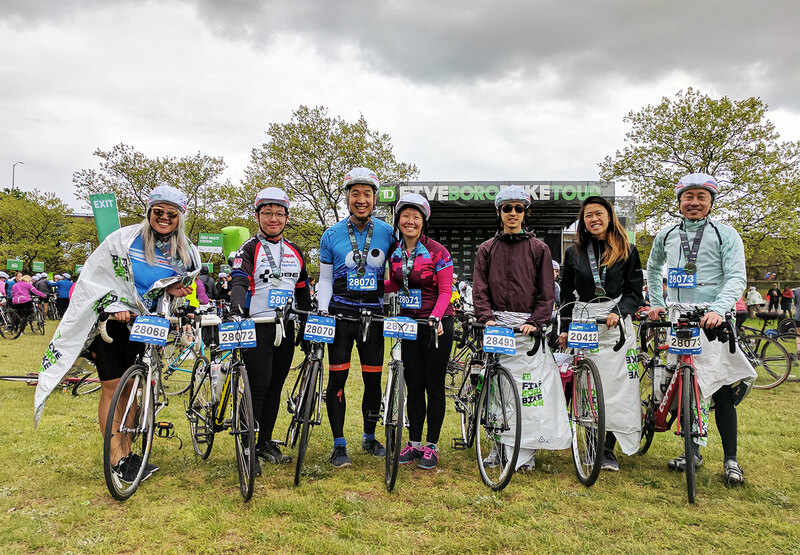 There are a number of hotels with group (discounted) rates for participants, and these hotels offer storage for bikes or allow you to bring your bikes to your room. 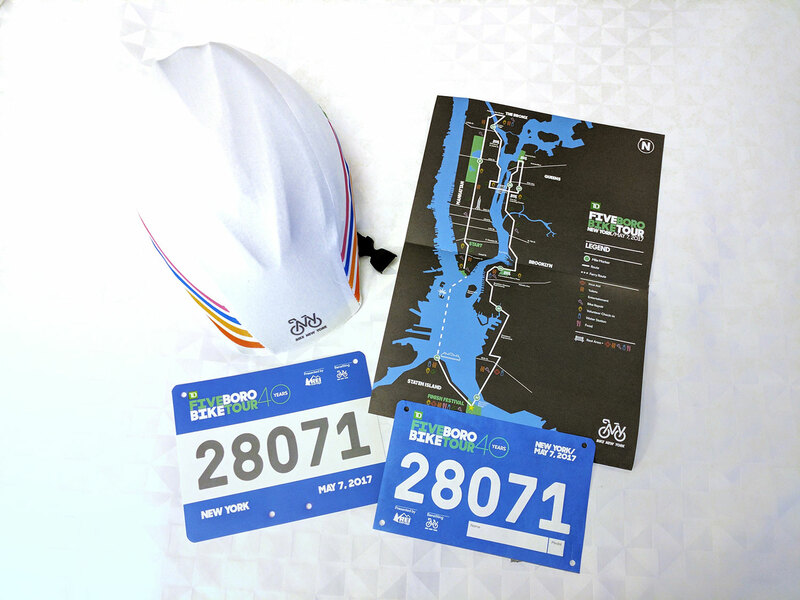 These can be booked through the Bike New York site. Unfortunately by the time we realized this was available to us, all the rooms were already booked. We stayed at the Four Points by Sheraton Downtown and confirmed with them by phone that we can bring our bikes to our room. They also had some very limited storage on the ground floor (using the extra luggage storage space). 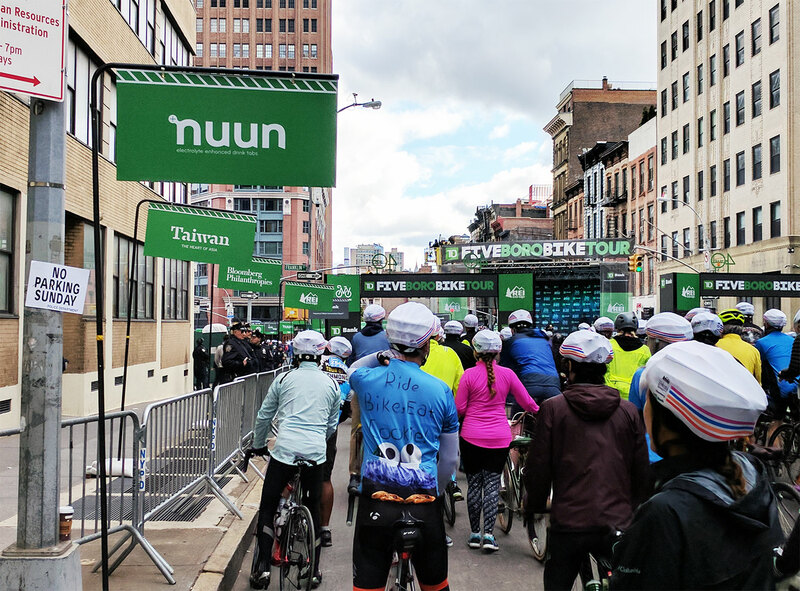 Stay as close to the start line as possible – only certain subway lines accommodate bikes and the subways will be incredibly full. Our hotel was only a 5 minute walk to the start line which means more sleep and less stress in trying to get to the ride on time. We decided to drive from Toronto to NYC so we can bring our bikes with us on the bike rack. Since there were 3 of us in one car and our rack only holds 2 bikes, hubby decided not to bring his bike and rented one from Spinlister, which is a service that allows bike owners to rent out their bikes for short period of time. Hubby was able to pick up the bike near where we parked the car, and then conveniently dropped the bike off to the owner near our hotel after the ride. 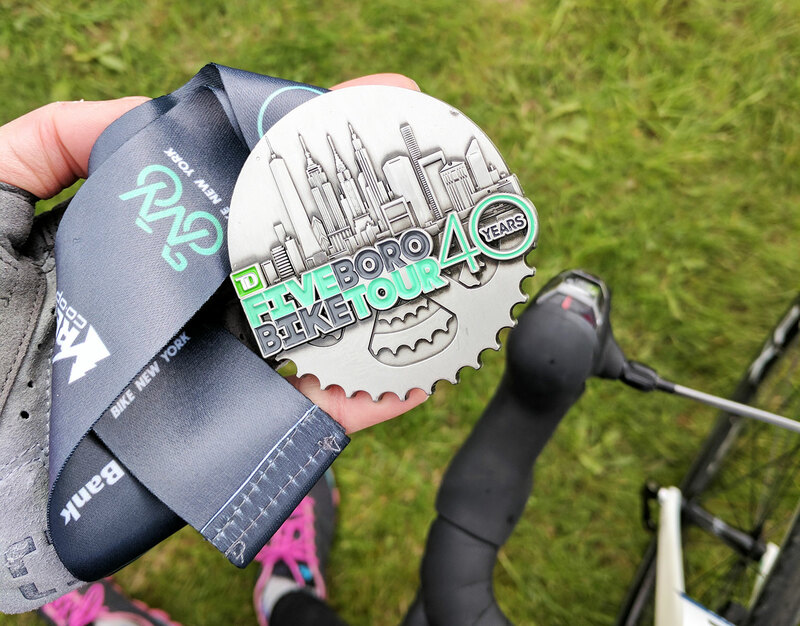 Depending on your size there may be limited bike listings for the Five Boro weekend so book a bike asap if you’re going that route. Alternatively, Unlimited Biking is the official rental partner for the tour and their bikes can be picked up near the start line, and dropped off at the finish line (at the ferry terminal). Before crossing the USA border, we turned around to enter the Canadian customs office to fill in a BSF407 (Identification of Articles for Temporary Exportation) form first, to avoid any questions asked about our bikes when we return. This indicates that we brought our bikes with us upon leaving Canada, and was not purchased in the United States. The form requires the serial number of your bike which is usually printed on the frame of the bike. 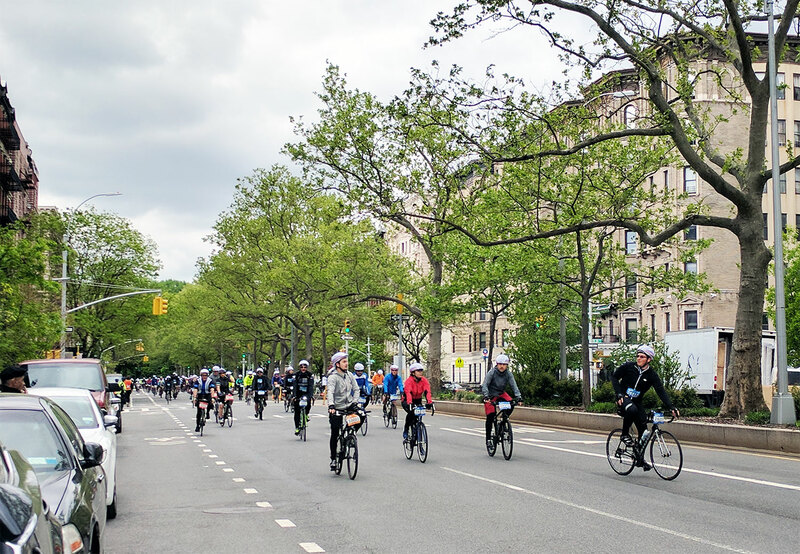 The ride starts at Franklin St. and Church St., with the wave corrals running down Church St. to Battery Park. Before we even got to Church St., there were already big groups of cyclists waiting to enter the corrals or waiting around for direction. Once we got onto Church St., it was a long slow walk/roll as we approached the start line. It was then when I realized how many people were really part of this ride! The pace was fairly leisurely for the most part. I saw a range of participants from children, unicyclists, sit-down (recumbent) cyclists, casual and experienced cyclists. The route was mostly flat with the most elevation being from the bridges and highway ramps. There was entertainment throughout the course as well as residents cheering us on along the way. There are four rest areas and we stopped at most of them to allow our group to meet up as we tended to split up based on speed (I was last of course 😛). Each rest area was stocked with bananas, snacks and energy drinks. The only complaint I had about the ride was that certain stretches were incredibly congested. I heard it wasn’t as bad for the earlier waves but we had to stop at least 3 times and get off our bikes as we weren’t able to move forward at all. One was due to a medical emergency (had to stop the bikes to let an ambulance through) and the other times were mostly due to merging roads or slow downs due to an uphill. 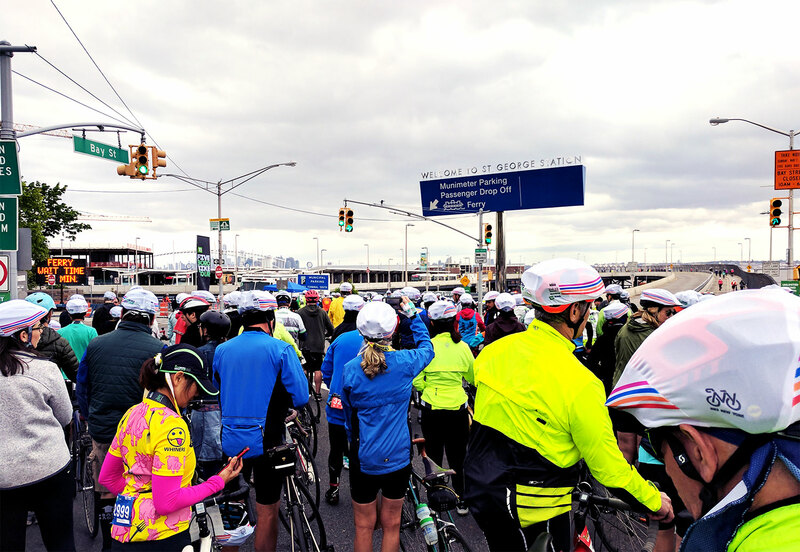 The last stretch of the tour is through Verrazano-Narrows Bridge and is a timed climb. It was indeed a steep climb and I’m proud to have not stopped or walk up! 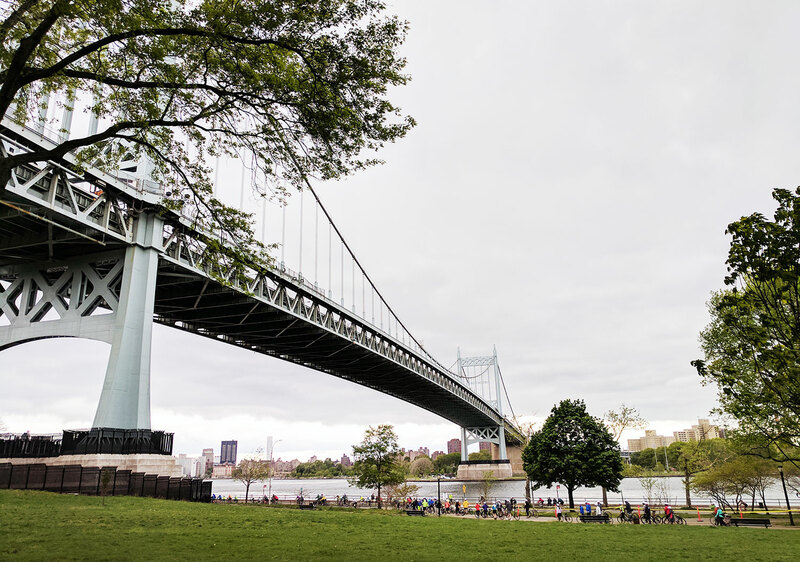 🙂 At the top of the bridge we were rewarded with beautiful views of Manhattan, and as we coasted to the bottom of the bridge we entered the Finish Festival area with our medals. Note that the Finish Festival was only the 60km mark of the ride. We still had another 4km to ride to the ferry terminal – what a tease! We waited almost an hour for the ferry as it started pouring. At that point we were already cold and tired and all I could think of was taking a hot shower once we were back at the hotel. 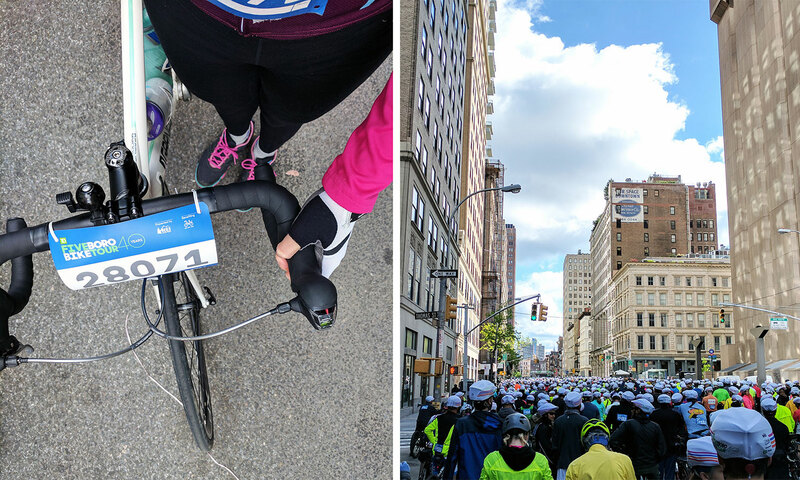 Overall, the TD Five Boro Bike Tour was an amazing experience. The event was very organized considering the size; hopefully they’ll be able to deal with the congestion issues next time. 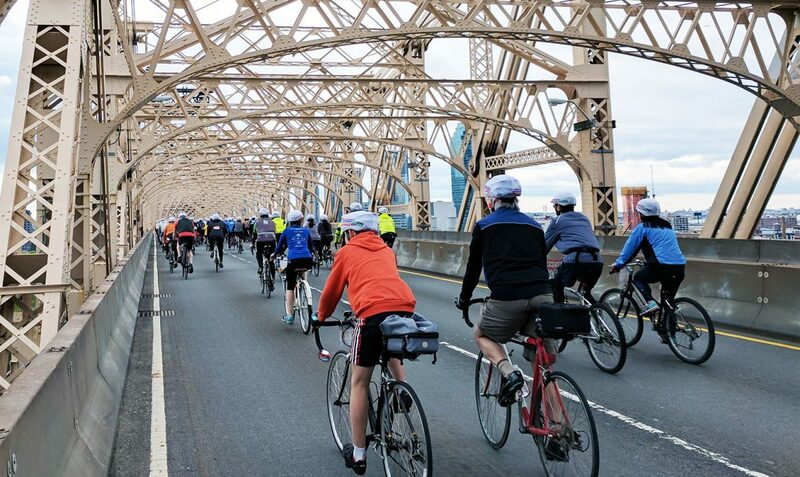 My favourite parts were biking through DUMBO and the Queensboro bridge. What a great opportunity to be able to see the New York City skyline from every angle!